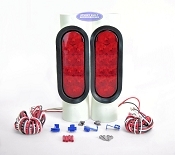 This Category contains Boat Trailer Pipe Lights kits and replacement parts for these Kits. 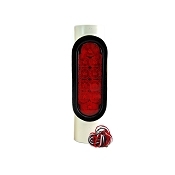 Pipe lights are a great innovation in Boat Trailer Lights. 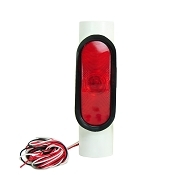 These kits allow you to mount your Boat Trailers light on your Guide Poles, permanently solving the issue of trailer light submersion. 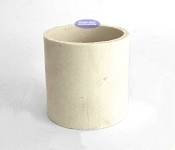 The standard kits mount to industry standard 2 inch PVC. We additionally offer adapters which would allow you to mount these Pipe Light Kits to different diameters of Guide Poles. These Pipe Light kits include the required wiring and connectors to tap into your existing trailers wiring harness.